A former office manager for a real estate brokerage in Bellevue has been charged with eight felonies for allegedly stealing more than half a million dollars from the company and its owner over a seven-year period. 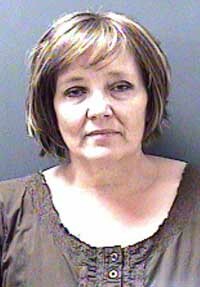 In a case that was investigated for two and a half years, investigators analyzed thousands of pages of financial records and other documents before an arrest warrant was issued on Aug. 8 for 49-year-old Tracy Dalin, a former employee of Sun Land Investments who court records state now lives in Gooding. Jail Administrator Lt. Jay Davis said Dalin voluntarily surrendered at the Blaine County Sheriff's Office on Aug. 10, was booked into the facility and was released that same day after posting $25,000 bond. A criminal complaint filed by the Blaine County Prosecuting Attorney's Office charges Dalin with eight felonies, including two counts of grand theft by embezzlement, two counts of forgery, one count of criminal possession of a financial transaction card, one count of grand theft and two counts of grand theft by unauthorized control. An initial court appearance for Dalin is scheduled for Sept. 12 in Blaine County Magistrate Court. A probable-cause affidavit filed by Sheriff's Detective Mark Dalton alleges that Dalin stole a total of $530,794.72 from Sun Land Investments, its owner Judy Cash and Cash's friend Ron Farwell from 2002 through 2009. The affidavit states that Dalin was hired as a secretary by Sun Land Investments in 2002, obtained her real estate license in 2004 and was employed as the company's office manager until January 2009, when Cash became suspicious of illegal transactions in company and personnel accounts. Dalin is currently employed as a home economics teacher at Bliss High School. She declined to comment when contacted at the school on Thursday, other than to say: "I'm innocent." Dalin is represented by Idaho Falls attorney Neal S. Randall. "The only comment we would make is we maintain her innocence," Randall said Wednesday. "And we believe the court systems will ultimately bear out the truth in this case." Dalton wrote in his probable-cause affidavit that he began investigating the case in February 2009 after Cash and Farwell complained that they were victims of "an extensive embezzlement and fraud scheme" perpetrated by Dalin. Dalton wrote that during her employment, Dalin was given authority to write and sign checks for Sun Land Investments and for Cash's personnel accounts. He wrote that she was also given authority for a brief period in 2008 to manage Farwell's accounts while he was on vacation. The detective wrote that Dalin illegally obtained funds from either Sun Land Investments or Cash and Farwell by several means. He alleged that she illegally used five different credit card accounts, fraudulently wrote checks to herself or to her family members, illegally deposited checks into her own bank account and illicitly took money from Sun Land business, trust and credit accounts. Dalton further alleged that Dalin hid her crimes by changing post office box numbers for the company and by altering and forging financial documents and bank statements.